For the past 10 years I've had sinus and allergy problems. It seemed I was allergic to everything in Nebraska - mold, pollen, dust. Outside activities left me with cold-like symptoms and exhaustion. I took allergy shots for three years, and about every kind of allergy medication available. I had between five and eight sinus infections each year. I was prescribed antibiotics so often that I grew resistant to the medications; some had no effect on me at all. 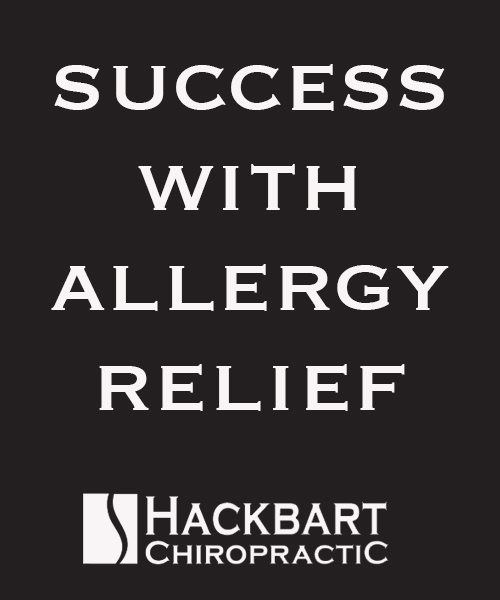 The staff at Hackbart Chiropractic genuinely care about my personal well-being and have worked around my busy schedule to get me in for my appointments. I previously thought chiropractic care was only for joints and muscles. I couldn't have been ore wrong, it has changed my health entirely!